The art of the Meiji period was marked by a division between European and traditional Japanese styles. In such particular era, the painter Takeuchi Seiho (1864-1942) was born in Kyoto and he started studying painting at the age of 14, and when he was 18 he became a pupil of Kono Bairei of Shijo school. He also studied the brushwork of several different schools such as Kano and Tosa schools, and in 1900 at the age of 37 he traveled in Europe to study Western painting. After returning to Japan he established a unique style, incorporating Western forms of realism and opened the path to the new age of Nihonga. In his later years, he devoted his life to guidance and cultivation of younger generation, and many of his students later went on to establish themselves as noted artists, including Hashimoto Kansetsu and Uemura Shoen. Seiho seemed fondest of painting animals and he painted a variety of animals including tiger and lion as well as smaller animals such as cats and sparrow. It is said that he even had a rabbit, monkey and duck at home for sketching. Seiho’s mentor, Kono Baire also stressed the importance of sketching and following the mentor’s guidance, Seiho depicted animals so lively with his excellent skill and through close observation of their habits that he was able to depict even scent of animals in his work. 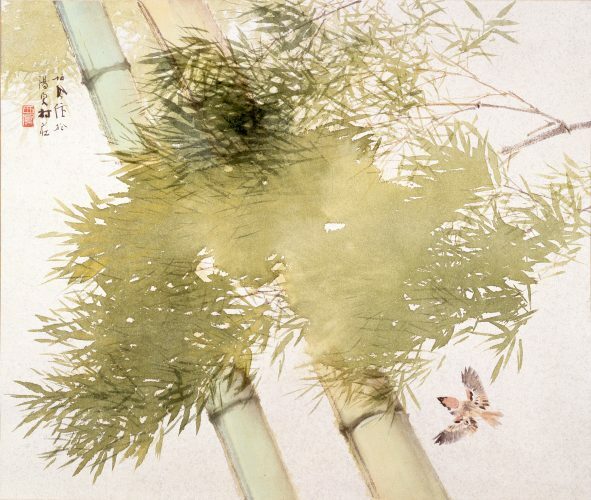 Seiho loved sparrows and drew a variety of sparrows in his works. He said that he wanted to depict the characteristic sound produced by sparrows and it was not easy. 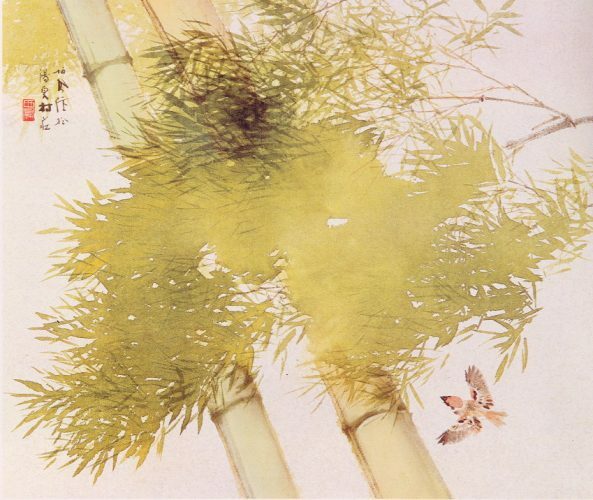 Seiho said that after all painting is not merely representing things as they look, and he kept on drawing sparrows. Seiho enjoyed going to fish market to observe fish. He used to say “What is amazing about fresh fish is their beautiful coloration, that the more I take a look at it, the more I see how beautiful it is. To me, they look even more beautiful than flowers on land.” He expressed the beauty of color of fresh fish such as sea bream, mackerel and bonito. 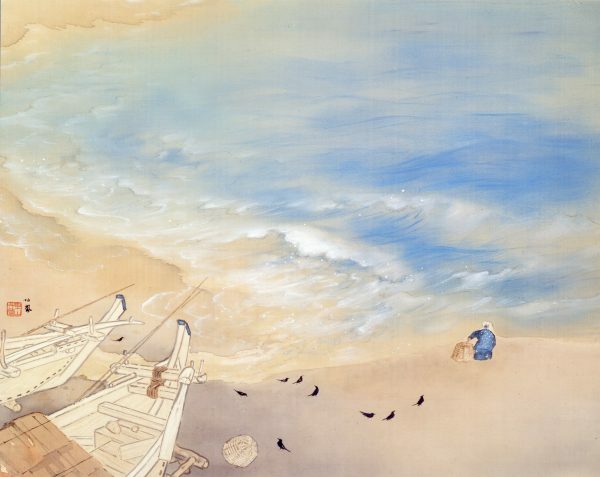 After returning from his European trip, Seiho created a new style by applying Western forms of realism to traditional Japanese painting techniques and motifs, and he depicted the traditional beauty of nature scenes such as those expressed in haiku and waka poems. 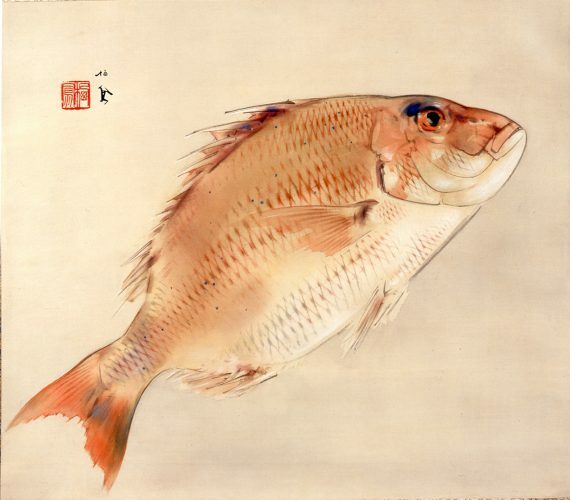 Seiho always sketched from life, but also by freely utilizing highly sophisticated techniques and brushwork in depicting animals, landscape and water, he produced many outstanding works of refined sentiment.